Let us help make your Game Day party spectacular with 20% off your takeout order at Eat’n Park! Valid Sunday, February 1, 2015 only! 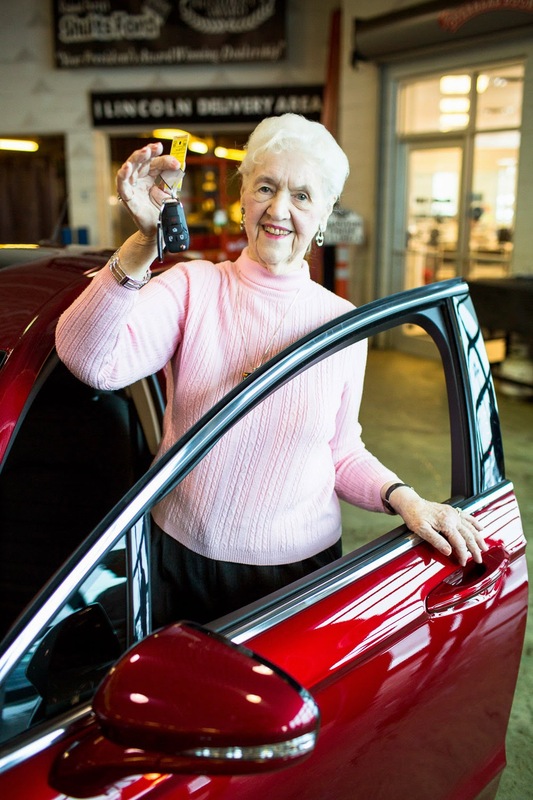 Congratulations to Ruth Hamilton, the 2014 Eat’n Park Caring For Kids Car Raffle Winner! This past Monday, we presented the winner, Ruth Hamilton of Avalon, PA, with her brand new 2015 Ford Fusion! Ruth purchased the winning ticket from our wonderful greeter, Eva, when she visited the Waterfront Eat’n Park! We'd like to thank our friends at the Neighborhood Ford Store for graciously donating a vehicle for this raffle. Our car raffle generated over $100,000 for our Caring for Kids Campaign, which benefits local children's hospitals. Enjoy A $3 Off Coupon! Enjoy this coupon for $3 off any purchase of $10 or more - valid until Sunday, January 18th! New Smiley Merchandise is in the House! It is a known fact that smiling is contagious and we want to help deliver smiles far and wide! So read on to find out about our newest additions to our Smiley merchandise collection! Do you feel like you are always on the run? 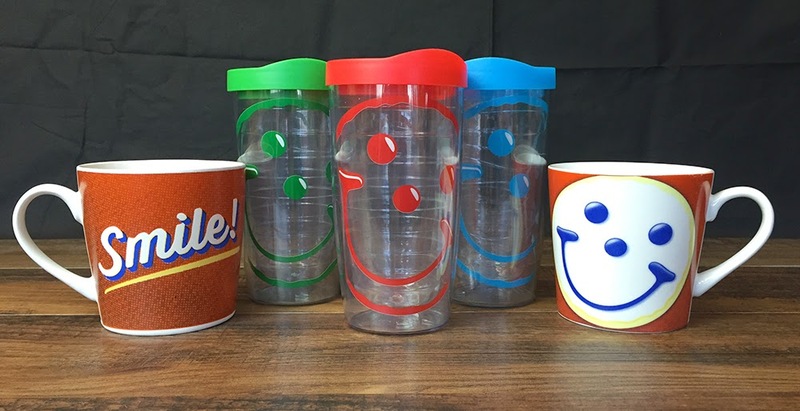 Take a smile with you no matter where you go with our new green, red, and blue Smiley travel mugs, available at all locations. They’re only $9.99 and are great for either hot or cold beverages! Stop in and purchase your favorite color today – these won’t stay on our shelves for long! All of our restaurants are also featuring Smiley ceramic mugs for $7.49. They are a perfect reminder to smile all day long, even if you’re having a rough day at the office! 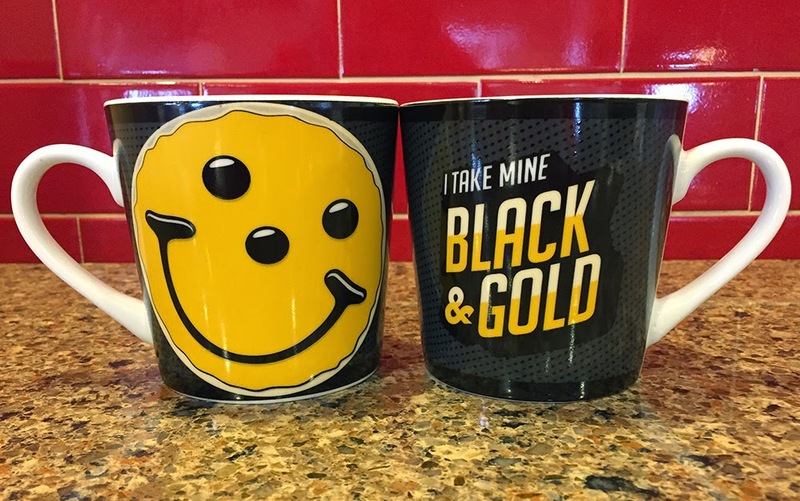 And don’t forget to show your team spirit with our Black and Gold Smiley mugs, representing the unofficial favorite colors of Pittsburgh sports fans everywhere! At only $7.49 and available at all Pittsburgh locations, they will leave you asking only one question… how do you take yours? Today Only! $1 Off a Quart of Soup Coupon! Happy Potato Soup Day! Here’s a coupon for $1 off a quart of soup to go – valid today only!